CHENNAI: At least six deaths and the hospitalisation of a few hundred more in Tamil Nadu’s cotton belt - Perambalur, Ariyalur and Salem - are a result of pesticide poisoning, alleged members of a fact-finding committee of activists that recently visited the affected farming families. “The State still has not assessed the impact of pesticides on the health of farmers. They are in denial that these deaths are associated with use of pesticides when doctors think otherwise,” said Anantha Sayanan, an activist from Safe Food Alliance, presenting the committee’s findings to the media on Thursday. A 10-member team of activists visited the cotton belt recently to investigate and document deaths and sickness associated with pesticide poisoning. “After the horrific instances of deaths and large-scale hospitalisation of many workers and farmers due to pesticide exposure and poisoning in Vidarbha region of Maharashtra from July to November 2017, and later in Telangana (October), the menace is now surfacing in TN,” said K Saravanan of People’s Union for Civil Liberties. He added that the government continues to blame unnatural death of cotton farmers on reasons such as organ failure or external injury, without paying attention to the larger picture and common patterns in their deaths. “Once the State acknowledges that their deaths are linked with pesticide poisoning, it will have to not only pay compensation to the families, but also take action on the companies that manufacture these pesticides,” said K Balakrishnan from Swaraj Abhiyan, urging that the State should pay a compensation of `10 lakh to a family if a person died and `two lakh if a person is hospitalised. “Pesticides first penetrated the cotton farming scene by selling a dream to farmers that they can be rich, then they introduced BT cotton to combat pests resistant to those pesticides. Now, pests affect even BT cotton seeds,” alleged Anantha Sayanan. Traditional varieties of cotton such as Karunganni, are known to be pest resistant and have better quality of yield, according to Kavitha Kuruganti, Alliance for Sustainable and Holistic Agriculture. She claimed that introduction of pesticides has taken a toll on the health of farmers. “Several pesticides that are extremely toxic to humans have been banned world over and even in Kerala. 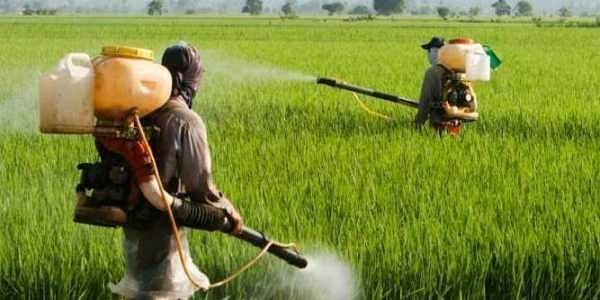 Tamil Nadu, however, continues to allow sale of these pesticides,” said Kavitha.